You can’t talk cocktails without giving a nod to the daiquiri. Granted, for years my “nod” was a shaking of the head in disapproval as I watched slushy mixtures of frozen daiquiris come out of machines, or being prepared with pre-made commercial mixes. Remember the Fat Tuesdays Daiquiri Bars with the slushy machines churning out disgusting mixes of syrups and rum? The creation of the original daiquiri had nothing to do bright colored concoctions and fruity syrups masking all taste of alcohol. Nope. The real thing was created at the turn of the twentieth century by copper mine engineers in Cuba. They used the ingredients most readily available – rum, limes, and cane sugar. That simple. And simply fabulous. 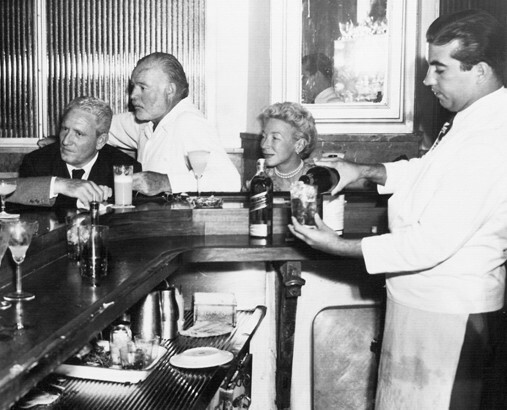 The LaFlorida Bar, in Havana, was Ernest Hemingway’s go-to spot for drinking. Specifically for enjoying daiquiris. Frozen. He is said to have only indulged in them there, and only when mixed by the head bartender and later owner, Constantino Ribalaigua. 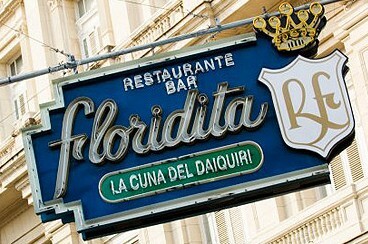 Locals referred to the bar as La Floridita. In 1934, while Constantino was head bartender, the guide “Bar La Florida Bar Cocktails” was published and included a few variations of daiquiris, each identified by number. The one Ted Haigh publishes in his book is the #4, which he notes is the exact lost recipe from the 1934 guide. Blend with crushed ice. Serve in a coupe or champagne glass. 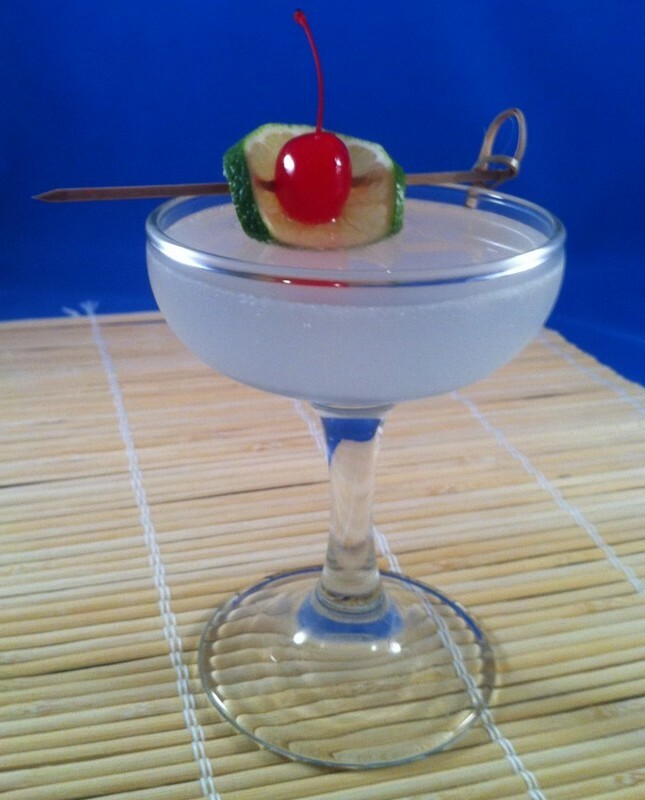 Garnish with lime wheel and maraschino cherry. Refreshing. Simple. Easy to drink and enjoy the quality rum. You can adjust the amount of sugar according to your preference in tartness of the drink. You may have seen recipes which call for the use of lemons and not limes. The Cuban word for lime is limon. Guess what the Cuban word for lemon is? Yep. Limon. The difference between the two is the modifying word following limon. A lime is a limon verde. The translation to English was not precise and when Trader Vic Bergeron published his Bartender’s Guide (1947) he listed lemons and not limes in the daiquiri recipe. The mistake was not corrected until 1972. 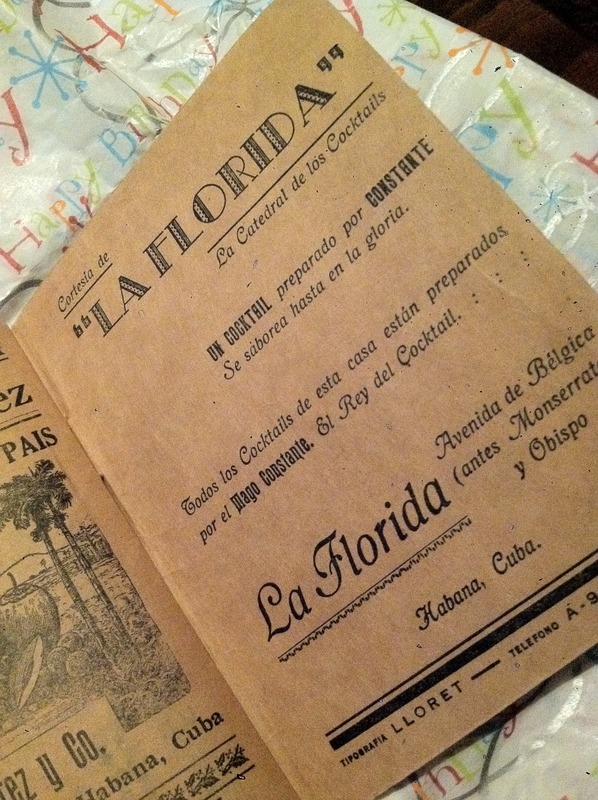 Our friend Stevenson Rosslow (general manager at Wrecking Bar) is fortunate enough to own a copy of the 1934 La Florida bar guide. It was a birthday gift that he still keeps carefully under wrap. On one of our visits with Stevenson, he graciously pulled the guide out and let us look through the pages of cocktail recipes. Truly a treasure! I just like thhe helpful ijfo you supply on your articles. I’ll bookmark your blog and check again heere frequently. I am fairly certain I’ll be told plenty of new stuff proper here! to helop fix this issue? I am happpy thaat you just shared thiss useful information with us. Have you evr thought about adding a little bit more than just your articles? of if you added some great visuals or videos too give your posts more, “pop”! Undeniably believe that that you stated. Your favourite justification seemed to be on the internet the simplest factor to keep in mind of. I say to you, I definitely get annoyed while people consider concerns that they just do not recognise about. side effect , other folks can take a signal. Will probably be back to get more.